Do you want to control your weight and eat healthier without feeling deprived? Are you tired of grabbing preservative-packed packaged meals because you don't have time to cook "clean" or don't know how or what to cook? 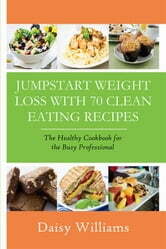 Author and chef, Daisy Williams, understands your dilemma so she designed quick and easy "clean" recipes for breakfast, lunch, and dinner. 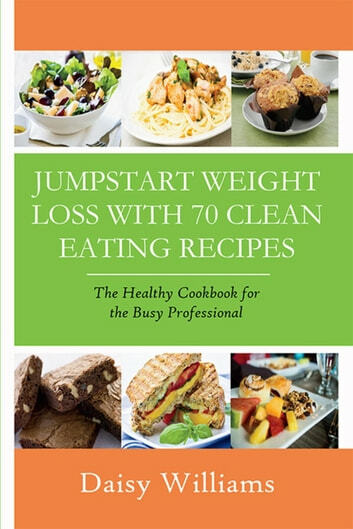 This highly practical clean eating guide includes: o More than a week's worth of satisfying, quick and easy "clean" breakfast recipes o Ten "lean and clean" lunch recipes utilizing commonly found ingredients o Fast and fabulous "go-to" dinner recipes the whole family will love o Delicious, healthy desserts to satisfy your sweet tooth o Protein shakes, watermelon smoothies and other grab-and-go healthy treats You don't have to be an experienced chef to whip up these tasty dishes from recipes that don't require cooking and you won't have to spend a fortune on gourmet special ingredients either. The Super Skinny Cabbage Soup Diet Plus!